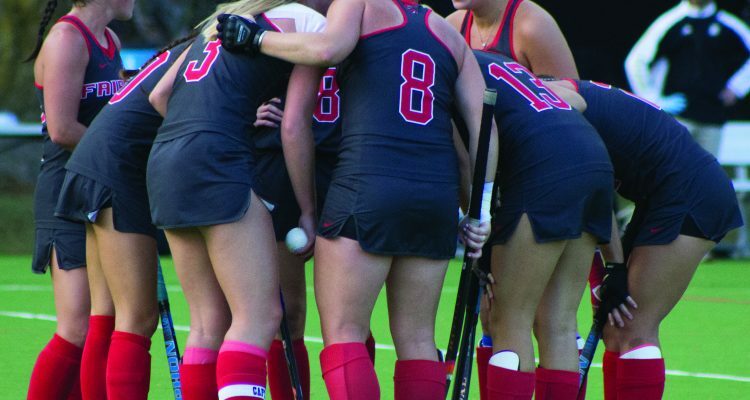 The Fairfield University Field Hockey team hosted Metro Atlantic Athletic Conference rival, the Bryant Bulldogs on Friday, Oct. 13 and came out victorious by a tight score of 3-2 in the friendly confines of University Field. With the win, the Stags were able to get back on track in the MAAC standing as they remain in a three-way tie for the top spot in the conference. The Stags were looking to bounce back following a heartbreaking loss at the hands of No. 19, Albany. The victory over Bryant gave Fairfield a push in the right direction. “It’s really great because our motto all year has been ‘one team, one goal’ and our goal is to win MAAC Championships and we really want to hopefully host it at home so now we’re getting in the best position possible,” said head coach Jackie Kane. The Stags got off to a hot start on offense as they were pressuring Bryant’s defense in the early minutes of the game. 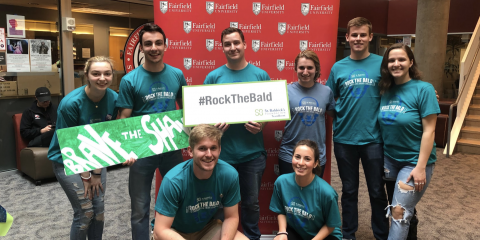 Fairfield’s aggression on the field earned them a penalty corner which they immediately capitalized on when Cassie Hughes ‘19 scored coming off the assist of graduate student Hannah Pike giving the Stags the early 1-0 advantage. Bryant would battle back halfway through the first half, as they fought off the Stags’ defense for several scoring opportunities. The Bulldogs finally connected with 15 minutes left in the half, when Bryant’s Ally Burdick collected a rebounded shot and knocked the shot to the far corner of the goal tying the game at one heading into the half. But Fairfield’s offense kept pushing. In less than 10 minutes from Pike’s goal, the Stags were able to add a much needed insurance goal as Daniella Profita ‘21 knocked in a shot coming off an assist from Corrine Persichetti ‘19 to give the Stags the 3-1 lead with less than 10 minutes remaining in the game. Bryant made one final push. With less than four minutes left in the game, the Bulldogs were able to connect one more shot to cut the lead down to 3-2. Unfortunately for the Bulldogs, Fairfield’s defense was too much as they held their composure and battled until the final minute, closing out the Bulldogs and coming out victorious at 3-2. “We were able to score in the second half, which is a good thing for us and then also to maintain composure in those final minutes, which is something that we haven’t been able to do as well in other games,” said Kane. The Stags returned to the field this past Sunday, Oct. 15 when they traveled to take on MAAC foe Rider at Ben Cohen Field in New Jersey. Fairfield jumped on early, as Erin Buckley ‘18 connected on a penalty shot just 10 minutes into the start of the game. Buckley’s lone goal would be enough to give the Stags the win as goalkeeper Cailin Gilligan ‘19 tallied five saves en route to a 1-0 shutout of Rider. With the win, the Stags now hold the top spot in the MAAC with a conference record of 3-1. 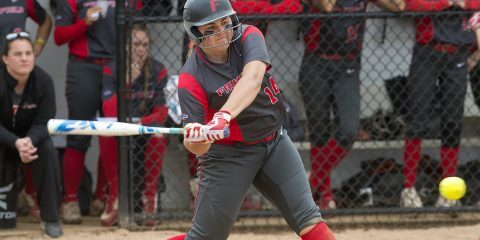 Fairfield will look to carry the momentum on Sunday, Oct. 27 when they host Temple University at noon at University Field.